After selling a bunch of stuff and collecting it over a period of time I somehow managed to put together a big enough chunk of change to get myself back on a rigid steel SS. After many different ideas I circled back to my original idea for my next bike. All the things made sense to purchase the modest Kona Unit, mostly I was not interested in 27.5+ size tires, but after a lot of research it grew on me, the thing mostly was how many people were explaining how fun they were. 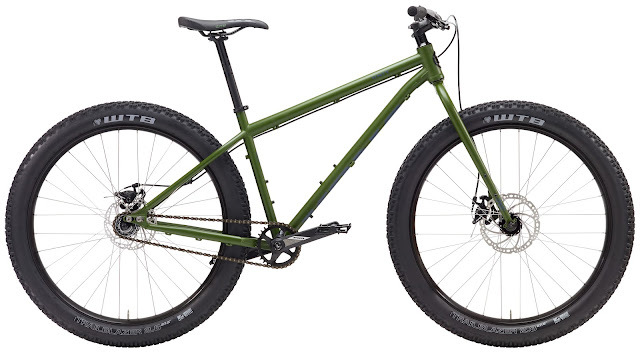 I rode a fat bike, not interested in that, but to strike the balance of tire cushion and traction while not adding massive rational weight just makes sense and I want in on the fun. Ideally I would build a frame up, I am not wild about the OEM on the Unit but it will do. If I can upgrade the wheel set which I find most important then great, if not, it will still be a wild good ride. I am on backorder with the bike and look for it to arrive sometime in November-January. Can't wait to get back on steel!